Whole plate ambrotype (6.5″ x 8.5″) of Isabella Sophie Gerber shot in my studio recently under UV light. An ambrotype is a slightly underexposed image made on a glass plate using the wet plate collodion photographic process. It appears as a negative until placed against a dark background, which reverses the tones, rendering the image as a positive. This ambrotype was shot using two six-tube arrays of UV lights. Each array contained five 48″ 6500K fluorescent tubes + one 48″ blacklight. I used a 19th century reproduction tailboard camera with an original 1872 brass barrel Ross portrait lens (f/4) made in London. Exposure time was 10 seconds. 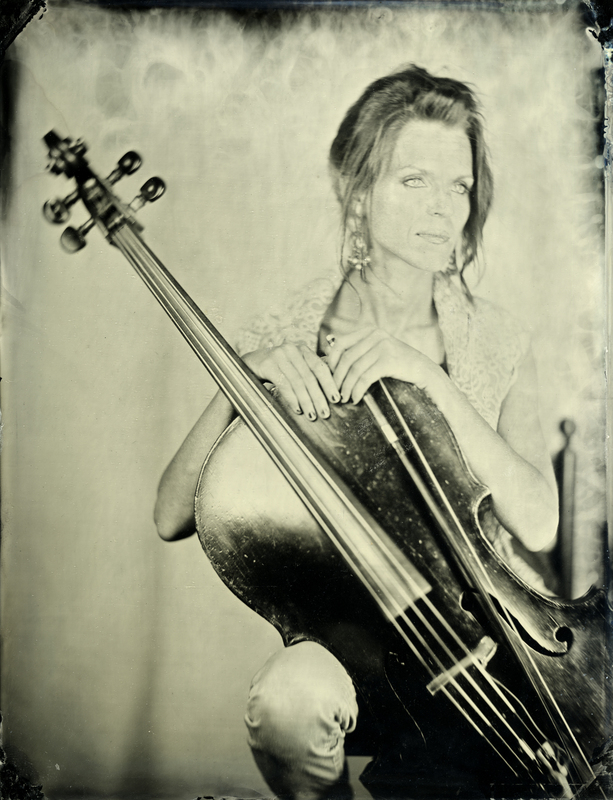 This is a new tintype of my friend and cellist Sharon Mulfinger Gerber of Greenville, SC. She and her daughters visited the studio last Saturday and sat for portraits. 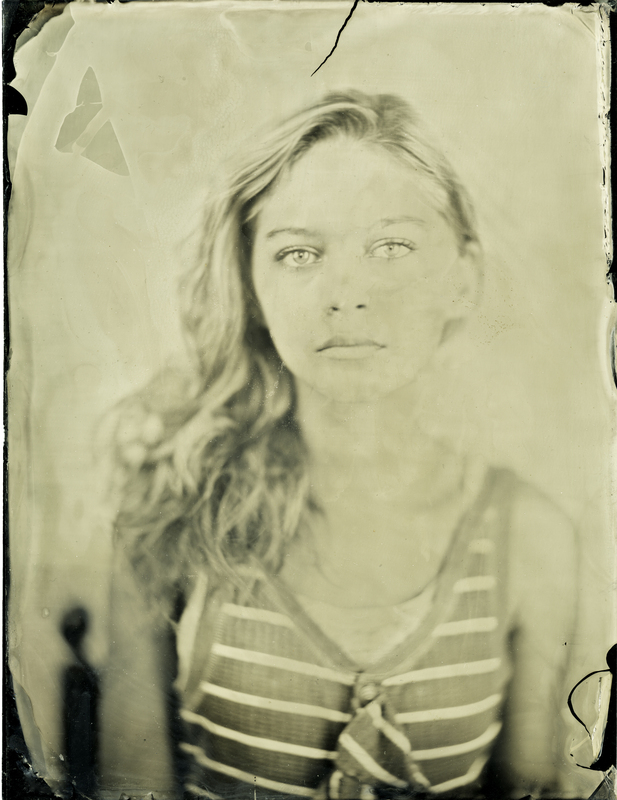 I also made ambrotypes of them during that session. Image details: whole plate (6.5″ x 8.5″), 19th century wet plate collodion process. Shot with a reproduction E. & H. T. Anothony tailboard camera, made by Ray Morganweck of Star camera Company, using an original 1872 brass barrel Ross portrait lens (f/4). I used two stands of 6500K UV tubes (12 tubes total, 2 of which were black lights). Exposure time 10 seconds — could have been done in 8 seconds, though.